Just because winter is coming, doesn’t mean that you will be without a flower garden. There are many varieties that are hardy during the colder months and will survive through the coldest of winters to reawaken in the following spring. In this article, we will cover a few of these more hardy varieties. 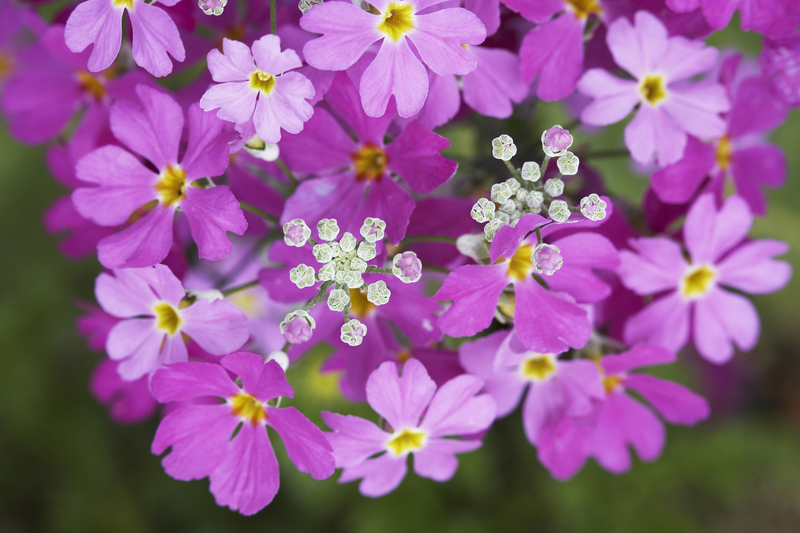 Known, much like the lily of the valley for their delicate appearance, the primrose is a favorite in most fairy gardens. Hardy in zones 3-8, this variety has shallow roots, much like the hostas plant. For this reason, you will need to mulch around the plant to retain the much-needed moisture for the variety to survive the winter. Hardy in Zone 4, this lovely plant is also edible. Although by its nature it can survive some surprisingly low temperatures, it is essential to cover them in the winter with either mulch or pine straw. This is a much-needed protection against frost. Pansies are an ever-thirsty flower variety, and with the added mulch and pine straw, they will have extra protection against winters driving winds. Finally, so you will have them in the spring, pansies can actually be planted in late winter. Known for its vivid purple coloring, which fades somewhat during the winter, the coloring of the coneflower will return in the spring. Hardy in zones 3-9, this little flower absolutely loves sunlight. For this reason, they will flourish when they are planted in areas affording them full sunlight. Once this variety goes dormant, a simple trimming of stems, as well as 1-2 inches of mulch for stabilization and they will survive the winter just fine. This flower may take on the appearance of being very delicate, however, in actuality, the lily of the valley is quite a tough plant. They can tolerate shade very well, so they are the usual choice for planting in mostly shaded areas. This flower, though beautiful as it is, is also poisonous. Due to its deadly nature, it tends to be very animal and deer resistant as well. Hostas are not a full sun lover, so they need to be planted where they will receive only partial sun. Hardy in zones 2 and 3, they have very shallow roots. Because of this, you will need to mulch around them to protect these roots through the winter. Because they have such a large surface area, they are prone to dehydration. However, with the addition of mulch to both protect and retain moisture, they will survive the winter just fine. Other than the mulching, there isn’t anything else required for their winterization. Because of this varieties ability to maintain its vibrant read appearance, it is usually associated with and used in most winter décor. Hardy in zone 2, and commonly planted in the autumn months, this variety can stand up to some pretty cold weather. Winterberries are sun lovers, so as such should be planted in the full sun, as well as needing a good moist soil. As stated they retain their red color, and make for a beautiful appearance with a snowy backdrop. Catmint is similar in appearance to lavender, with its purple color and highly fragrant nature. However, it is a much-preferred alternative to lavender due to its inherent hardy nature. Not only is it hardy during the winter months, it is very resilient as well. In addition to being animal and deer resistant, catmint an tolerate partial sun, drought, and the worst and poorest of soil conditions. These are just a few of the hardy varieties that tolerate and survive the cold winter months, to come back stronger and more beautiful than ever in the spring. When designing and planting your flower garden, why not choose a few of them—you will be glad you did. Tracy and her 15-year-old furry baby reside in a very small country town. The slower pace and peace of the town she lives in feeds into her creative side. She finds great enjoyment in putting words to paper as she watches an idea or concept develop and come to life. When not researching or writing, she can usually be found exploring her love of mixed media art, tending her garden, or taking long walks with her furry baby.